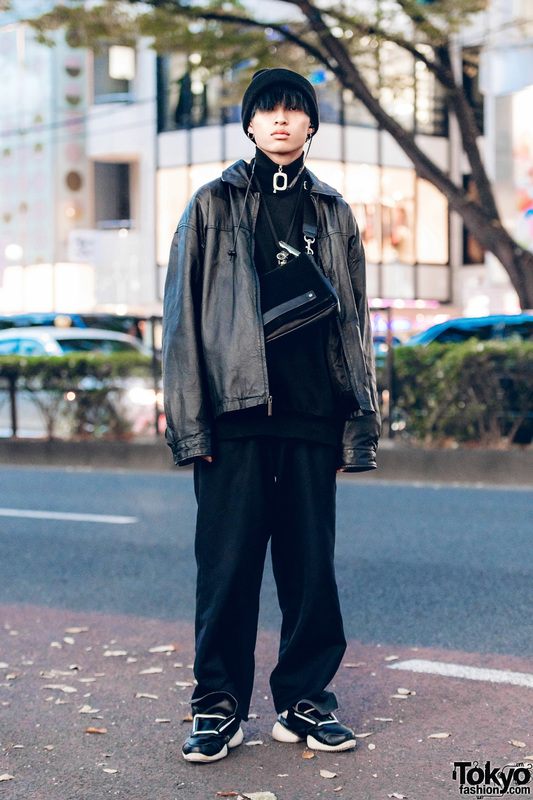 Japanese student showcasing a minimalist all-black street style. 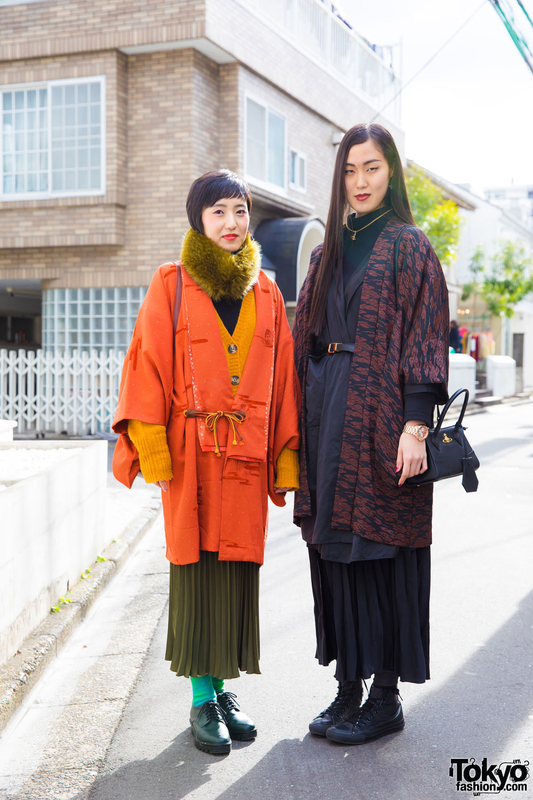 Harajuku girls in stylish kimono coats & pleated midi skirts ensembles. 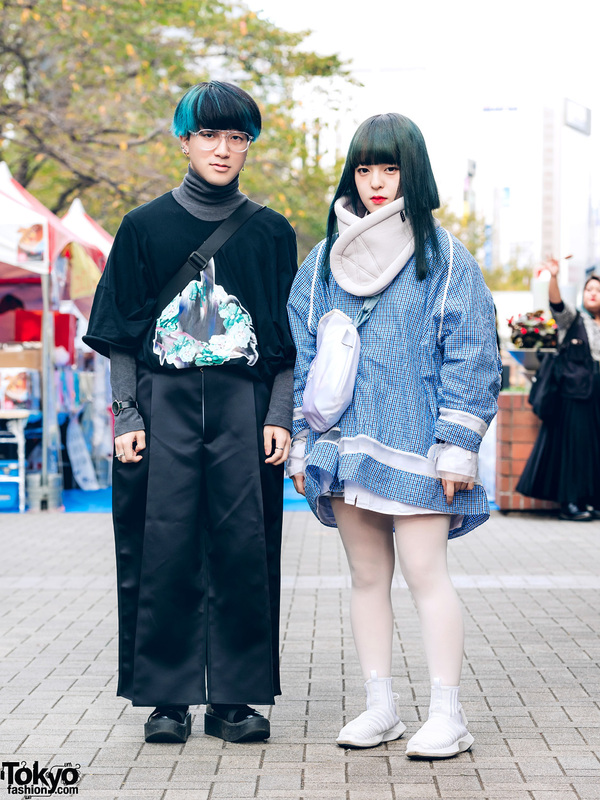 Harajuku girl in blue lipstick, double breasted trench coat, printed cropped pants, and platform booties. 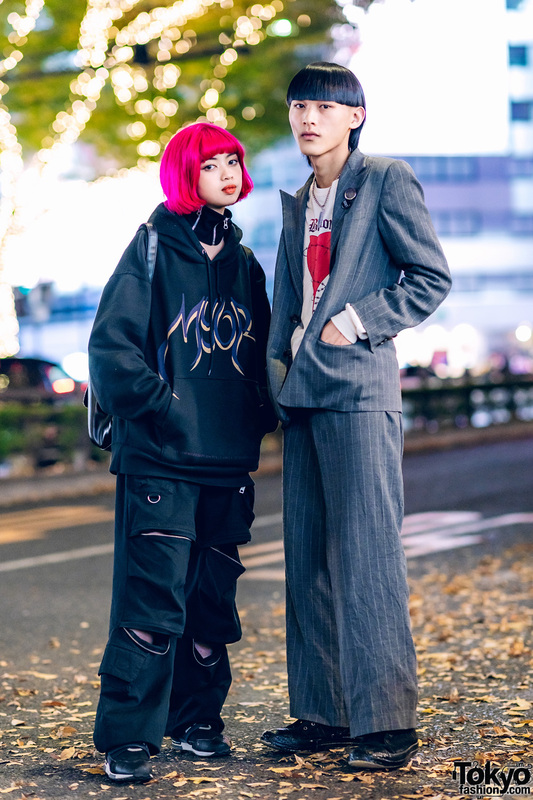 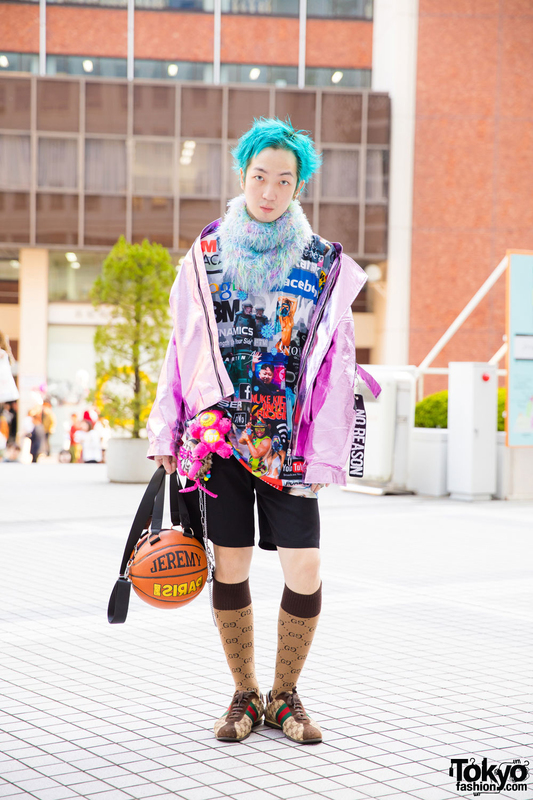 A Japanese girl with a cute short hairstyle, resale fashion, and multiple ear piercings on the street in Harajuku. 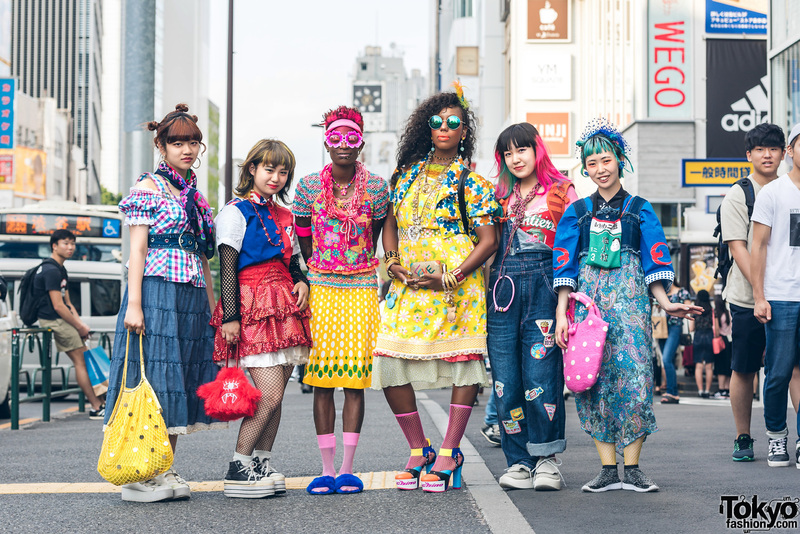 Two Japanese girls in Harajuku – one in a plaid skirt, the other in polka dot leggings, both wearing boots.